Toys is a key word of most people will think when it comes to Chenghai. Indeed, as a famous Toys & Gifts city in China, toys & gifts industry is the most dynamic and characteristic pillar industry of Chenghai, and it is also the first pillar industry of chenghai industrial economy. However, few people truly know the development history of Chenghai. Chenghai toys are based on the production of domestic workshop. In the preliminary stage, bamboo and wood were used as materials, and they mainly produce one-off static toys in the form of products processing by manual, semi-automatic plastic extruders. Until the mid-1980s to the mid-1990s, with a large amount of introduction of full-automatic injection molding machine, the quality and output of toys had been greatly improved, and they gradually gained popularity in the country. In 1997, Chenghai Plastics City was established with a construction area of 38,000 square meters and various kinds of toys. There are 474 toys and gift stalls, with annual sales of 1 billion yuan. Since 1999, the Chenghai District Government has started to sponsor the “Shantou Chenghai International Toy &Craft Fair” on a regular basis every year, and they has continued to expand its scale, attracting the participation of merchants from many countries and regions, developing the foreign market of Chenghai toys.In 2002 alone, Chenghai International Toy&Crafts Fair attracted merchants from 58 countries in the world and from Hong Kong, Macau and Taiwan to participate in the exhibition. The total value of the export contracts signed was as high as 85 million US dollars. At present, over 70% of Chenghai toy gifts are sold to 100 countries and regions in the world. The production materials have also evolved into various materials is given priority to with plastic, even the popular environmental materials in recent years. With the impact of electronic products toys and the coldness of the traditional toys market, China Chenghai toys have also experienced cold winter. But in recent years, many toy enterprises in Chenghai have been able to continuously develop new ideas, successfully transform their industries, and take the road of independent innovation. 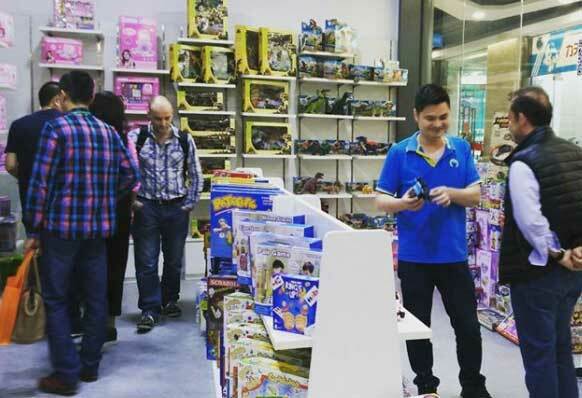 In the severe situation of toy market, he toy enterprises in Chenghai always go on firmly, which is inseparable from the hard work of Chenghai people. From the production of small domestic workshops to today’s Toys & Gifts City, the development process of Chenghai toys is more like a history book that Chenghai people struggled. This entry was posted in chenghai, shantou toys and tagged chenghai, Chenghai Toys, chenhai History, china toys, shantou toys.